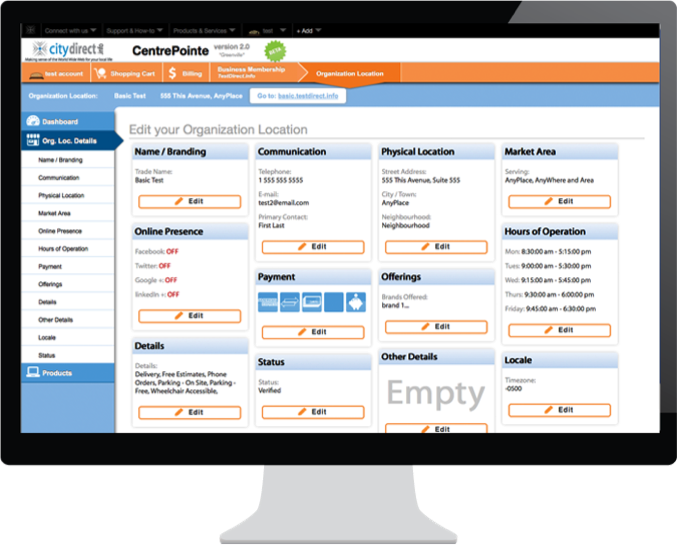 Instructions on using the the Content Management System (CMS) “Centrepointe” to manage and maintain your CityDirect.info web presence. A Content Management System is critical to the success of every website; however, many businesses are not familiar with this amazing technology. 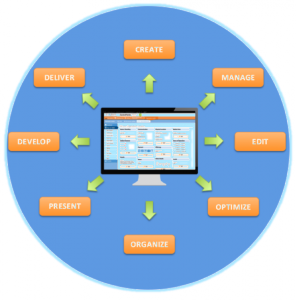 A CMS is an application that allows users to create, edit, and manage content on a website. Even without any technical experience, anyone can manage their web content as easily as writing an email. Designed for web publishing, it improves websites’ search engine optimization (SEO) by providing options and features to index and search documents, as well as specifying keywords and metadata for search engine crawlers. Many CMS are accessed online using a web browser, and are automatically updated to ensure that all users have the latest tools to manage their content. With a Content Management System, users can upload, publish, organize, distribute, and remove content from a website without needing the help of a Webmaster. It’s easy for non-technical users to manage content such as text, embedded graphics, videos, and more on their website without having a background in coding and web design. The goal of a Content Management System is to provide a user interface for building and modifying webpage content, as well as publishing live updates on a website. The four main functions of a CMS are content creation, content management, publishing, and presentation, which are all used to improve the quality of the site. 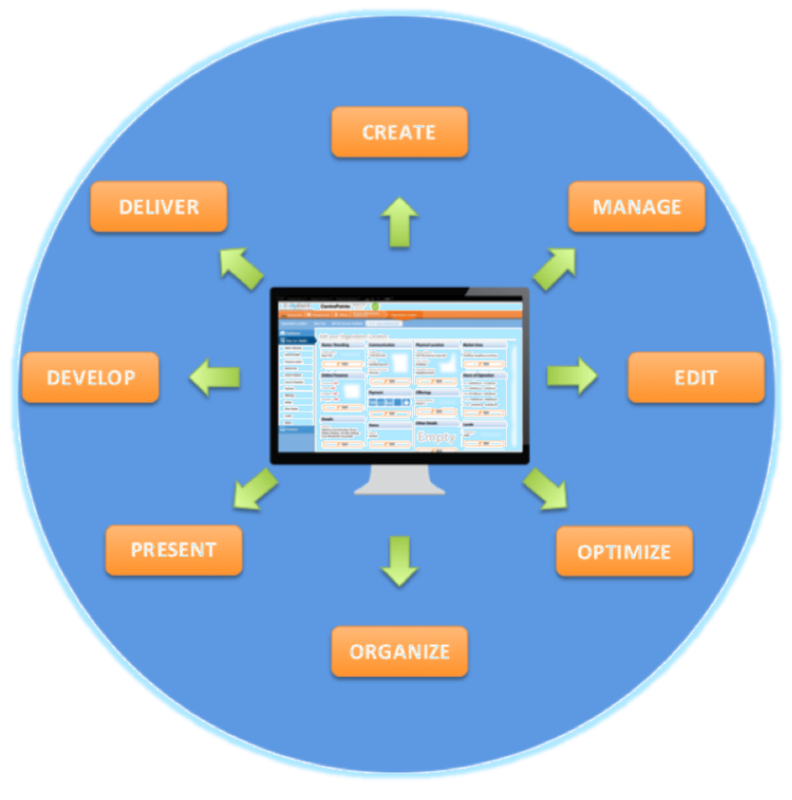 A Content Management System features an application that is designed to perform similar to Word. It provides templates and other tools that allow users to easily create pages and content without being technical. 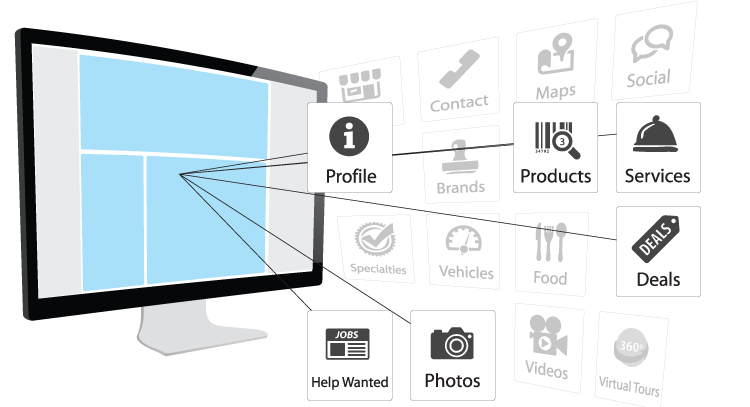 CMSs also allow users to manage the website’s structure. Users are able to control where the pages go, how they’re linked together, as well as their appearance once they’re published. Depending on the CMS, some tools are free to use, while others have a monthly fee. Many systems provide some basic components for free, and charge for extra features such as high-quality templates, web hosting, custom domain names, and more. A Content Management System is essential for businesses with websites, as it allows users the capability to easily manage their website and its content. 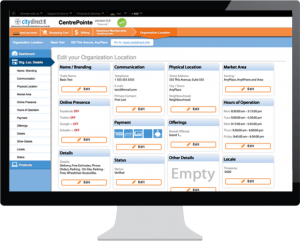 With a CMS, users are able to control administration, website management, and their control panel. A CMS has a powerful publishing software that allows the appearance and layout of webpages to be automatically applied during publishing of the site. It may also allow the same content to be published to multiple sites at the same time with content syndication. CMS lets graphic designers and web developers specify the design that is applied by the system. This ensures that the pages are consistent across the website and have a high standard of appearance, quality, and effectiveness. CMSs allow users to concentrate on writing great content, by leaving the website to the CMS. Do you know what a CMS is? Do you know what to look for when choosing the right one for your small business? Take a look at this SldeShare presentation to learn more about choosing the right CMS for you. Check out this brief Prezi to learn more about Content Management Systems (CMS) and how they can help small businesses manage their web presence. Learn the most fundamental aspect of manipulating your CityDirect.info products, how to navigate through your account overview. Once you have claimed your listing with CityDirect.info, you can sign in to your account and go to your Account Overview (you will find the tab at the top left of the screen). Once there, scroll down the page until you see the title “Organization Location”. Click on “edit”. 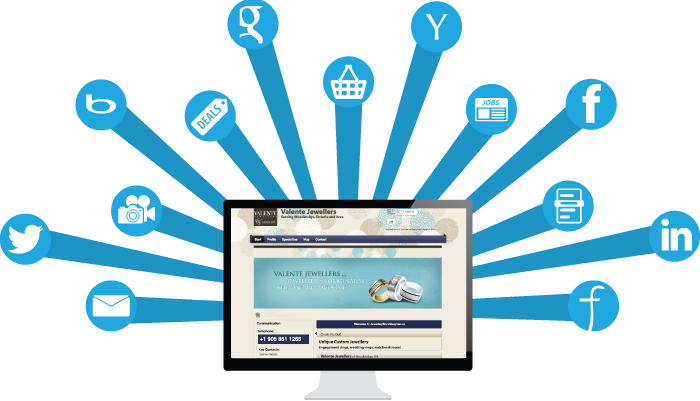 This will take you to your Branding Page where you are able to edit the information about your business. This is where you’ll be able to change your company name. You can also update your telephone number and address, enter keywords, hours of operation, and much more from your Branding Page. 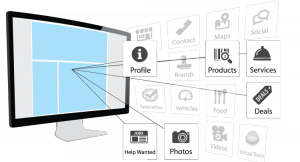 You have complete control over what you want your customers to see on your website. For more information and helpful tips on how to edit your Organization Location details please read our blog. 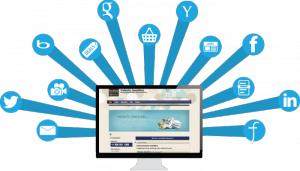 Claiming or creating a listing on the CityDirect.info network allows you to control information on your Directory listing or publish new information. Note that only Business Owners, or an authorized Marketing Manager employed by the company will be allow to control a businesses listing. Under no circumstances will 3rd party organizations be allowed to control a listing of another business. Click on the Claim button. Your more info page is simply a page that contains your vital business information such as your phone number, address (if available), and business name as well as applicable categories. 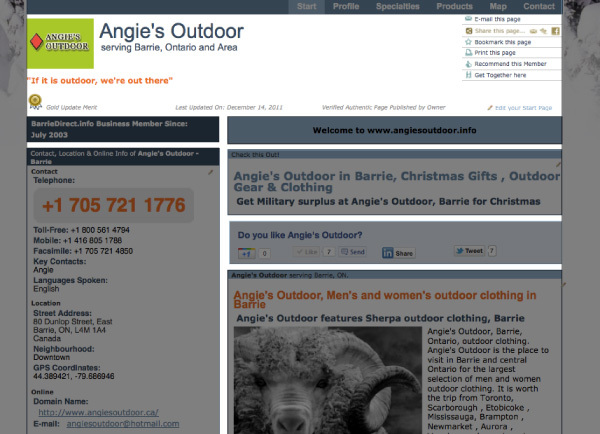 You will find the “More Info” page by clicking on your Directory Listing on your CitySite. There are sevral different “claim” or “edit” buttons throughout the site. Clicking on any of them will allow you to start the claim process. From City Site or Directory Sub Categories. On almost every page on the CityDirect.info network there are “sign-up” and “sign-in” in the top right hand corner of the page. Simply click on the “Sign-Up” link to start the claiming process. Once you have created your account select “join” and your account will automatically be created. Be sure to remember your password as you will use it along with your email to access your account in the future. Whether you are claiming an existing listing or adding one to our network, the first thing you need to do is find your organization on our CitySite. First, search for your business by using your telephone number. If you are trying to claim a listing with an incorrect telephone number, use the number the current displays on the listing you are attempting to claim. If no match has been generated, we then ask you to search for you business by it’s name and city. If a match has been found you will be able to select the satellite box beside it and claim it. 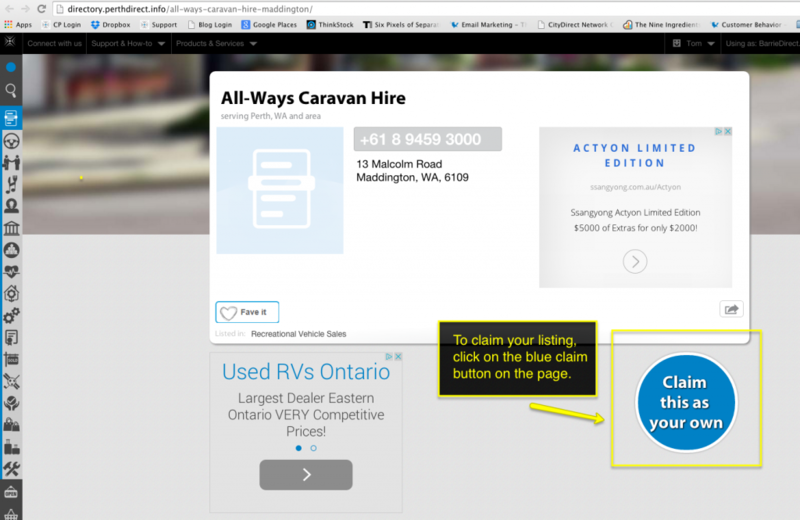 If not you can choose to create a listing or search for it again. Once you select claim, or create your listing, you will be taken to our Wizard that allows your to add and edit details of your business. Changing your background image is a powerful way to enhance the look and feel of your CityDirect.info web presence. 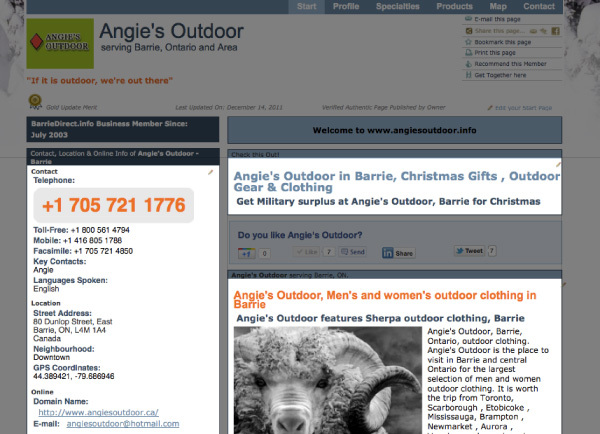 As you can see, a well done background can drastically change the overall feel of your page. The background can be a tricky graphic to upload correctly, so here are some tips and tricks to help you with the uploading and to ensure your images look great. 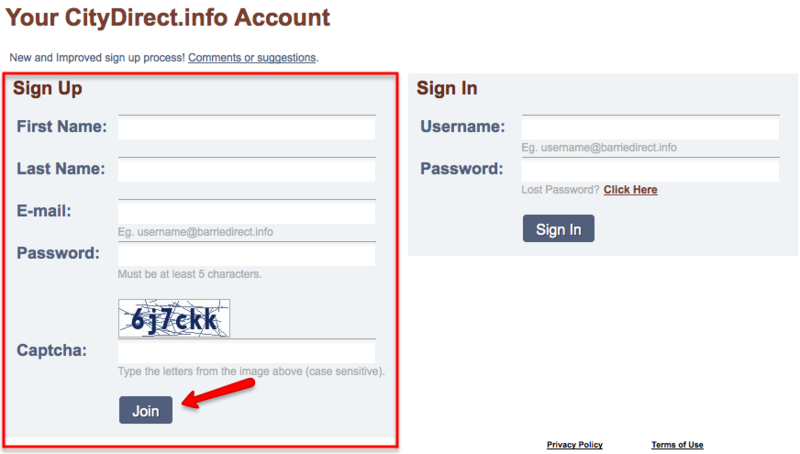 The easiest way to log in to change your background is to sign-in to your Account Overview in Centerpointe. From here, you’ll want to select the “edit” option in your Organization Location Details section. The Background options are located in the same section as your Color Scheme. 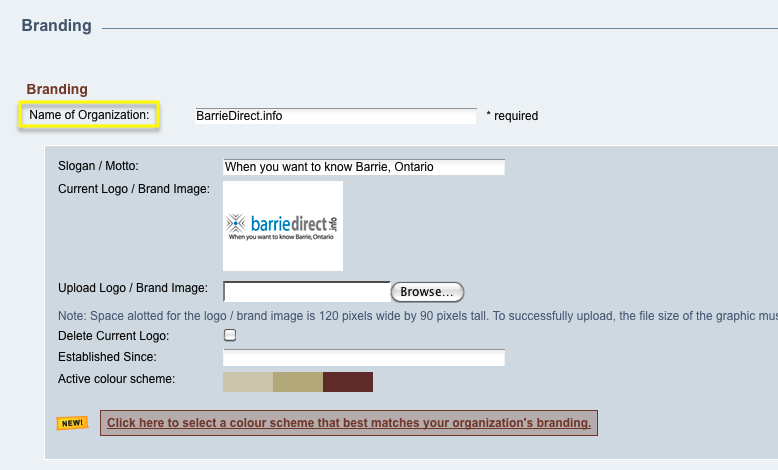 Select the link to “select a color scheme that best matches your organization’s branding”. Once you are in that section, scroll down past the different color scheme options until you come to the options below for the background options. There are 4 different sections that will control your background. Lets look at each one of them. 1. Background Colors: This field allows you to set one solid color for your background, the content area background, and the content box background. What is the difference between them you ask? Great question I say! 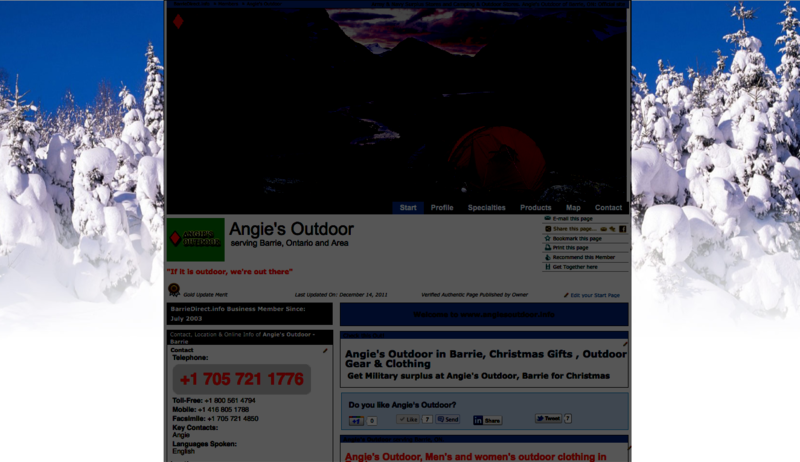 Your background is obviously the area to the left and right of your page. Your content area background is the space in between each element of your pages. Your content box background is the color that will go behind the content or text boxes. The colors for these areas are pre-set with the color scheme you have selected. If the check box is left unchecked, the area will be left white. If the check box is checked, the area will be filled with the pre-set color associated with that color scheme. 2. Background Imagery. This area allows you to upload a custom background image. This image will override and replace any color that was selected for the background in the Background Color section above. To upload, simply click on “Browse” and choose the image file from your computer that you wish to upload. In order to successfully upload a file, you must be within the upload specifications that can be found directly below the “Browse”. Once you have uploaded that image, the next two fields allow you to control how it is displayed. 3. Control Background Images. This area allows you to control any custom image that has been uploaded as the background. Repeat vertically and horizontally – This option allows you to tile your image in both horizontal and vertical directions. Repeat vertically – This option allows you to tile your image vertically but not horizontally. Repeat horizontally – This option will allow you to tile your image horizontally but not vertically. Do not repeat – This option uses the image once and does not repeat. Hold background image stationary – Check this box if you do not want the background to be free floating. 4. Background Horizontal Position. This section allows you to create the anchor point for the background image. Some More Notes on Uploading Background Images. Remember, at anytime you need assistance please don’t hesitate to contact us about our graphic design services. Stay tuned for a blog post on tips for creating great background images. Unlike the Start Page, the Enhanced Profile Page has ten groupings, where the basic version only has three. 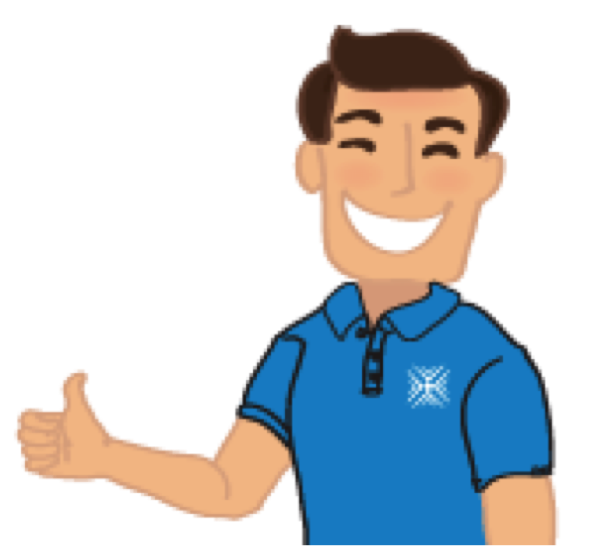 In other words, the enhanced version gives you ten opportunities to describe different aspects of your business, ten opportunities to tell the search engines what you do, and ten opportunities to get found by potential customers. Once you have logged in using the pencil icon on the Profile Page Content Grouping, you will be taken directly to the Profile Page editing area in Centrepointe. The first section you will see is the Graphic Options which are exclusive to the Enhanced Profile Page. 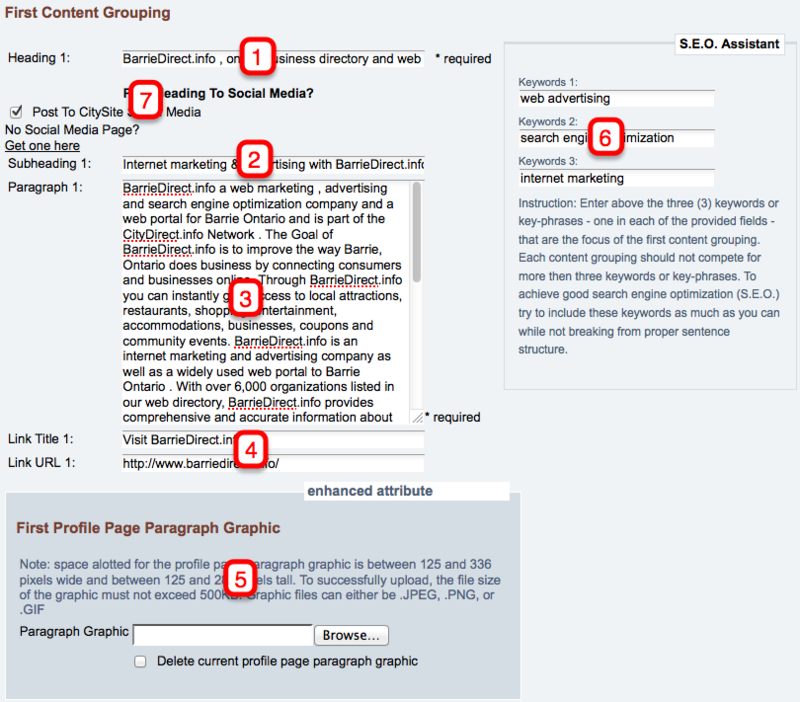 Scroll down past the graphic options until you arrive at the profile information and First Content Grouping. Are you wondering what should you be writing in each content grouping? The first Content Grouping should be another overview of your business that reinforces the important parts of your business. You should tell people the broad stroke of your business, how long you have been in business, why someone should pick you, what sets you apart from other similar business, what are you good at, the core values of your company and your mission statement. The second, through the tenth Content Grouping should focus exclusively on one important product, service, or aspect of your business. It should not include any reference to any other product, service or aspect. They should also be in order of importance. For example, the second Content Grouping should be exclusively about your most important keyword, and the tenth Content Grouping should be about your ninth most important keyword. The Content Groupings on the Profile Page are very similar to the Start Page. Refer to the Start Page Content Grouping blog to learn how to write a proper 1. Heading, 2. Sub Heading and 3. Paragraph. 5. Paragraph Graphics are a very powerful way to encourage people to understand what a Content Grouping is about. Think of how newspapers grab your attention about a particular article by associating a descriptive picture with it. 6. The SEO Assistant is a tool that provides helpful hints on how to best use a particular option. There is one for each content grouping. 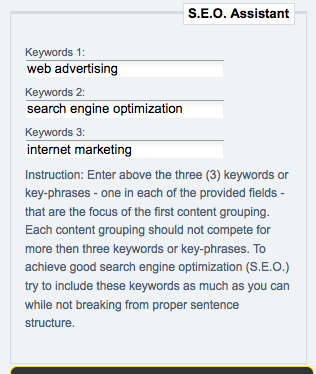 For each one, you should include 3 keywords that are closely related to the content grouping. By including these words in your SEO Assistant, you are clearly telling the search engines what particular keywords the associated paragraph is focused on. 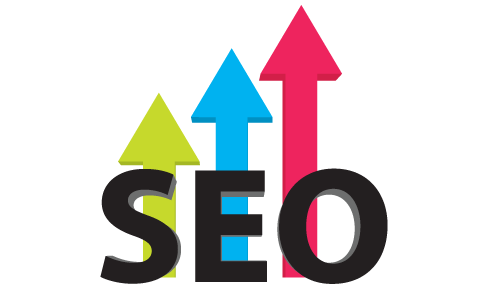 Keyword included in the SEO Assistant will also appear in a keyword list at the bottom of the page, further optimizing those words. 7. Should you wish, you can have the update that you have made to the first Content Grouping, published to the different social media pages for your particular CitySite. This satellite box remains checked by default, and we encourage you to publish all updates when you alter your first Content Grouping. Once you are finished writing your content, scroll down to the very bottom of the page and click on the “Preview Edits” button. 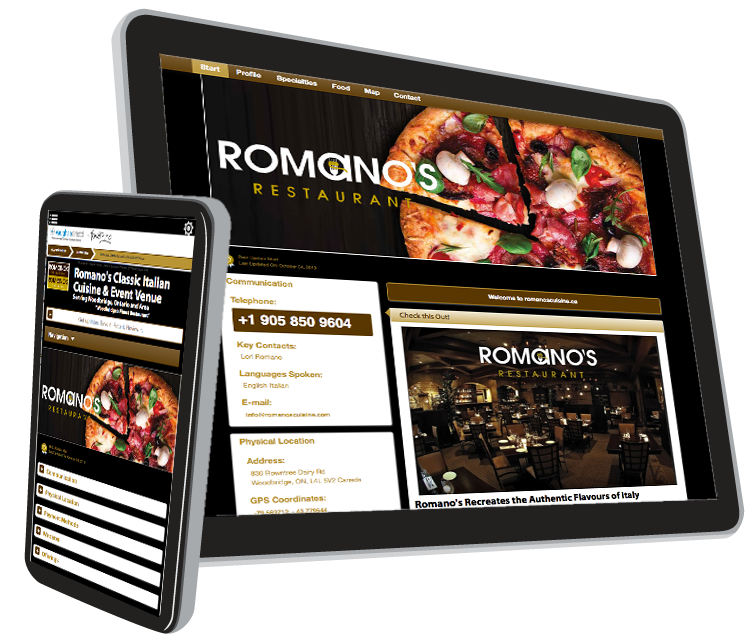 This will take you to a preview of how your content will be displayed on the web.